GET YOUR FREE QUOTE TODAY NO STRINGS ATTACHED. WE WILL REPAIR OR REPLACE YOUR ROOF TOMORROW. Call now, ASK for BOB and get up to 35% OFF ! As a Local Family Business. Committed to Helping consumers with all Roofing needs. Head and shoulders above the competition when it comes to Integrity, Reliability, and Quality we have you covered, And the most reasonable pricing in the Roofing industry. Over 35 years and Hundreds of happy customers. We would love for you to be our next happy customer. Every job we do with quality and we will only leave your job when its finished and you are 100% Satisfied. Massachusetts The Roof Guru ! Worcester roofing companies increase home values in Worcester County, MA. Roofing contractors and what to look for when choosing yours. Roofing contractors: How to find them and what to look for. Roof replacement: Signs it’s time for a new roof. The Roof Guru FAQ for Worcester, MA residents. The Roof Guru helps protect Worcester County, MA residents’ biggest investment. 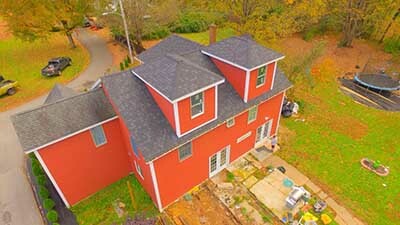 Worcester MA roofing company: What we do. Worcester, MA roofing company: How to prepare for the first day of work. Worcester roofing companies and what Worcester, MA residents should look for.